Front view cameras created ability to take selfies, and this phenomenal created ability for people to see themselves from every angle. Selfie era has definitely created a huge surge of new clients in the filed of cosmetic and laser surgery, as many people notice their imperfections and look for ways to improve or eliminate them. Hyaluronic acid nose job has been gaining increased popularity over the last few years as it gives people a temporary fix of their body image issues and is virtually painless, has no down time and associated with minimal to no side effects. HA filler advances offer a “try on before you buy” service before any person fully commits to a surgical procedure and allows them to visualize their profile. The greatest benefit is that it is completely reversible too, which unfortunately no surgery can beat. What are the most common areas that can be fixed with HA fillers? Rebuilding nasal bridge and reshaping the tip of the nose are the most requested procedures. Rebuilding nasal bridge using HA filler will give a slimmer appearance to your nose and will also correct any bumps that you hate. 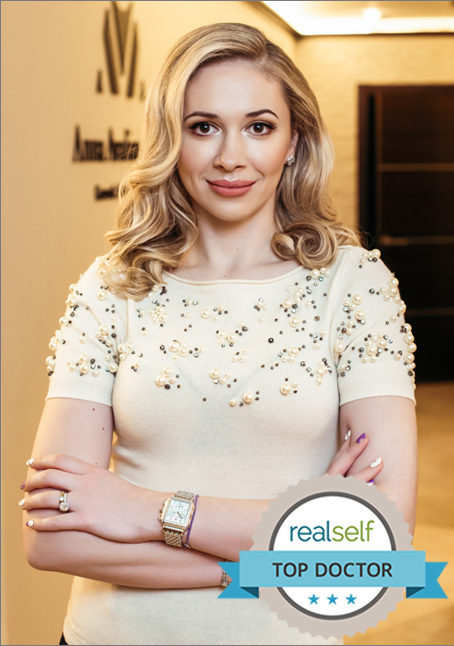 Dr. Avaliani will determine if you are the right candidate for non surgical rhinoplasty at the time of her consultation and will answer any questions you may have. Typically, results can last from 6-12 months. You will forget what facial contouring is after you try this procedure. You will save time and money on expensive concealers and make up brushes, and will save 30 min of daily time which was dedicated to make up and apply it towards something like beauty sleep. There is a ton to gain and absolutely nothing to loose. What Dr. Avaliani can offer?